Some novelists find fleshing out their characters difficult, which can feel all the more frustrating because you spend most of your life surrounded by characters — how can you actually know that many people yet have trouble coming up with a handful of your own to push around for about seventy thousand words? You can find entire books on how to develop characters, but their exercises can be dry and feel like homework. If that sounds like a slog to you, then I think I found a shortcut that isn’t too embarrassing to admit you’re familiar with nowadays: fill out an OKCupid profile for your major characters. I’ve just gotten a short story about incorporeal solidarity published in the magazine Speculative City alongside awesome writers like dave ring, Stefani Cox, and Robin M. Eaves! It’s a great magazine from some really sharp publishers, so give it a look! “Oh Ghost of Mine” is a story featuring Decca, one of the characters from To Another Abyss. The plot is completely separate so you don’t need to have read the novel beforehand, but you can totally pick up a copy afterwards if you want more of her snerky socialist supernatural solutions. I think what first kicked off this story idea was a couple friends of mine who were having a discussion about where modern freelancers and the self-employed fit in to traditional Marxist class structure, and what shape a worker’s “solidarity” can take when they don’t really have co-workers or managers. I don’t have much background in political theory so the first and most amusing answer I could come up with was “choose a line of freelance work that will grift the rich.” Which I find satisfying on a visceral level, but it isn’t really practical career advice, so I was left to explore it in fiction. I couldn’t think of any stories where someone had actually turned that old line about “the specter of communism” into a literal specter, and what’s the point in a metaphor like that if you can’t literalize it every now and then? Moreover, ghosts are a pretty good model for activism. If you look at any story from M.R. James all the way back to Hamlet, ghosts have always known that the only way you’re going to get results if you start pestering folks who are comfortable with the status quo. Loudly. In their own bedrooms if that’s what it takes. Novel Debut – To Another Abyss! So this is a thing now. 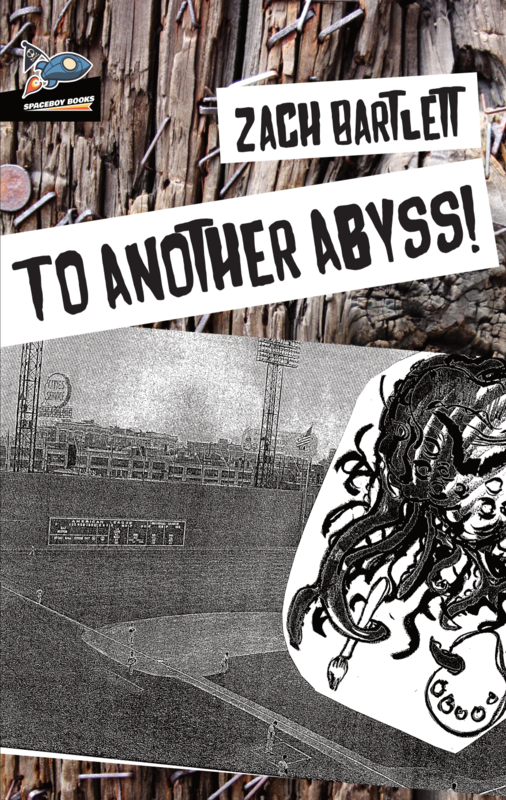 My first novel To Another Abyss!, has been published by Spaceboy Books. It’s a farcical little book following a trust-fund kid and a punk fighting off independent filmmakers and Lovecraftian horrors in a Western Massachusetts college town. “Fighting” in the least effective sense, mind, but still pretty exerting by the characters’ standards. Nate, TJ, Shaun and everybody else at Spaceboy did an awesome job on the manuscript and cover — it even looks like a hastily-Xeroxed band flyer! You can find it at the usual massive online retailer, or order it through your favorite independent bookshop. And please review it on GoodReads or the other big retailer if you like it! 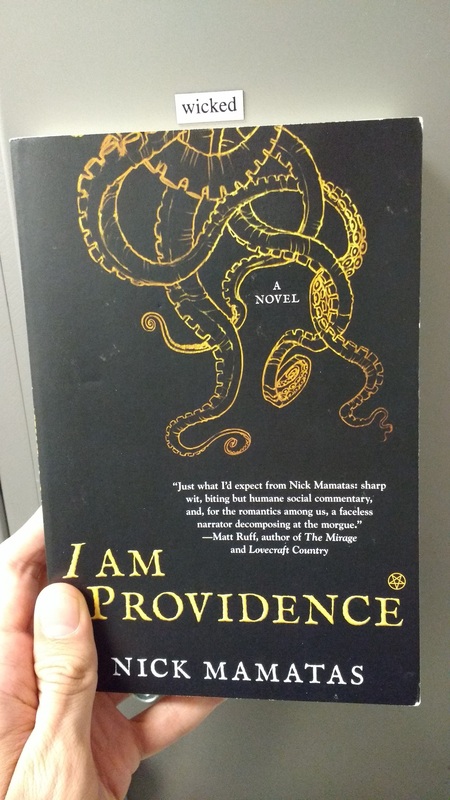 I’m done with my entire MLIS course about reviewing terrible books so that I can actually review fun books again, and I’m cleansing my palette with I Am Providence, by Nick Mamatas. This book is doin’ 85 on the Pike.